It is certainly not a new tactic: when a politic party makes a proposal with which the other parties are not too enamored they adopt a guilt by association posture. And so it was last week, fresh from the Labour Party launching its Business manifesto cracking down on zero hour contracts, the Tory cheerleaders at the London Evening Standard targeted Unite (and by implication Miliband) on Thursday (on the eve of the leadership debates) for hypocrisy. Unite the Union is the Labour Party’s largest financial backer which is the basis for the LES to run a story on Thursday that ‘Labour’s biggest union donor used zero hour contracts’. The background is what is assumed to be a Preliminary Hearing at the London South Tribunal for Martyn Reuby who is bringing an unfair dismissal claim against Unite the Union. Mr Reuby had delivered training for Unite at many local colleges; he contended that he was an employee of Unite, whilst Unite contended he was either self-employed or employed directly by the colleges. In order to make that claim Mr Reuby would need to establish he was an employee, hence the reason for the judgement which was not about whether he was on a zero hour contract but whether he was an employee. In its judgement, which Unite have said it is appealing, the tribunal determined that Mr Reuby was employed on a series of short term contracts. It was Mr Reuby’s solicitor, not the tribunal, that suggested he was ‘effectively’ on a zero hour contract (the use of such an adverb usually in my experience has the same intellectual coherence as ‘I am not a racist, but …’ The Unite response to the LES’s story is pretty unambiguous: “Unite does not use zero-hours contracts and it is misleading to say so”. On that basis the story is a pretty empty attack piece lacking in substance but of mud slinging. When the politics of employment law apocalypse fail, the next recourse is claims of hypocrisy. But here, it is not even Miliband being accused but a Labour Affiliate. Still, while the charge of hypocrisy may be technically incorrect and represent some pretty petty political pointscoring the tribunal judgement does again bring into focus the tendency of some parts of the Union movement, when employing staff, to adopt some pretty shoddy employment practices. This is something I have picked up before. Here, even by their own admission, Unite have been procuring the services of a worker who even in the very best designation (the one Unite tried to argue) was a self employed worker who would preferred to have been an employee. In fact, however, the Tribunal’s judgement is that he was an employee in a succession of fixed term appointments – this is precisely the insecure type of employment which the union movement has criticised as being the basis of the ‘economic recovery’, workers with no security of employment. Whether or not the union succeeds in its EAT appeal the fact remains that in a duty core to the union (education) that is not going to diminish any time soon the union has chosen to deprive workers of secure employment. 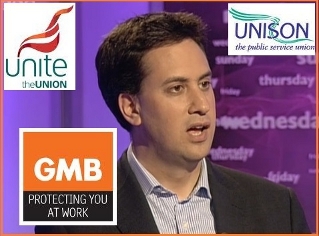 That is not a decision of the Labour party but a decision taken on behalf of the Unite executive. It is right that questions about this conduct in union recruitment practices are asked. What is unfortunate however is that these question are being asked by right wing press barons (and here, unlike here, the term is appropriate) given the issues are raised by them as a matter of political opportunism and not the rank and file membership itself. In Mr Reuby’s case Unite are defending the claim of unfair dismissal on the basis that he was not an employee. It is a defense that is certainly open to them to make legally, but the decision to pursue such a defense is morally questionable. A matter of days ago Unite published a review of Dave Smith and Phil Chamberlain’s Blacklisted (a review will follow here on Employment Writes soon). What is the point of employment law or the Human Rights Act? Even with mountains of documentary evidence and an admission from the company that they blacklisted me because I was a trade union member who had raised safety concerns, I still cannot win. This might be the law, but it is not justice. The endemic use of agency workers, zero hours contracts, umbrella companies and bogus self-employment means that millions of workers are being treated as second class citizens. The result of this tactic was that the overwhelming majority of those who submitted employment tribunal claims lost them because the courts found they were not employees because of their particular working arrangements. How disappointing then that Unite, who have made very positive moves in the anti-blacklisting campaigns and supported many of these claims have adopted the very same strategy and have sought to deprive workers of the right to legal remedy by contesting the fact that those who work for them on a continuous basis are in fact employees. This is especially the case since as a matter of policy (see 2014 Policy Conference motions) Unite are opposed to bogus self-employment. It may be that Mr Reuby’s claim is without merit and that Unite have not subjected him to any detriment for whistleblowing but the decision to seek to deny him a hearing is certainly questionable. This is something members should be raising with their union executives with some earnestness with or without press coverage at election time.